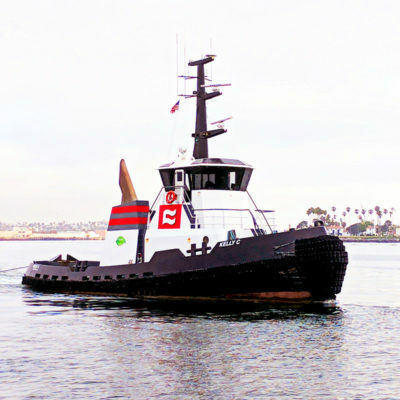 Tugboat – Sarah C – Port of Long Beach, Ca. 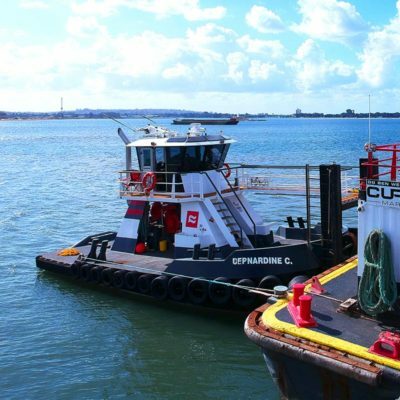 After the inspection and survey of several tugboats for sale, Curtin Maritime was able to recognize that this hull type was perfectly suited for the Combi Tug conversion Curtin Maritime had designed. • Complete Systems Installations and all Steel Work. 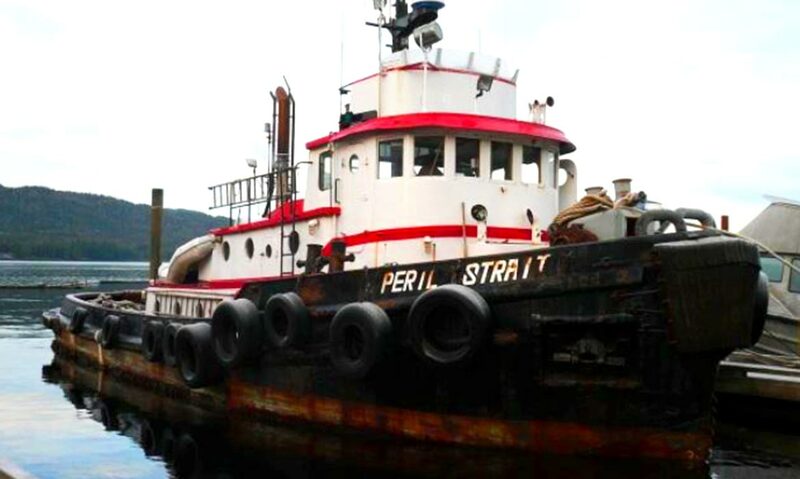 Curtin Maritime purchased the 65’ tugboat Peril Strait from Cambell Towing in 2007, a single screw logging support tug operating in Alaska. 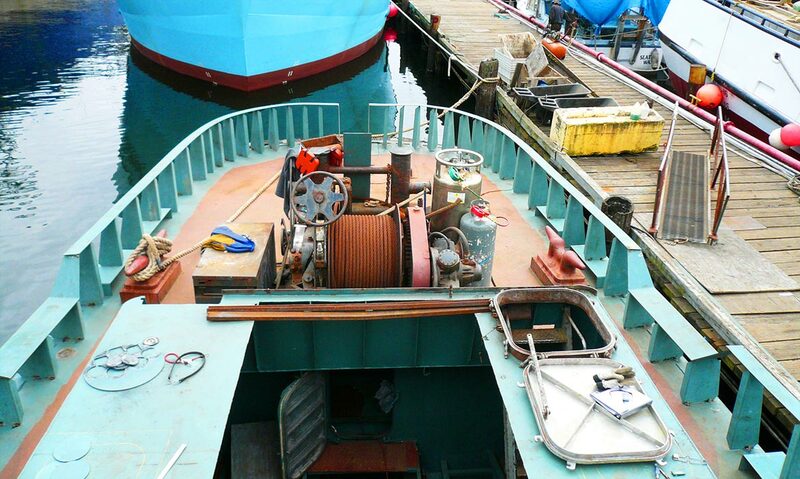 After the inspection and survey of several tugboats for sale, Curtin Maritime was able to recognize that this hull type was perfectly suited for the Combi Tug conversion Curtin Maritime had designed. 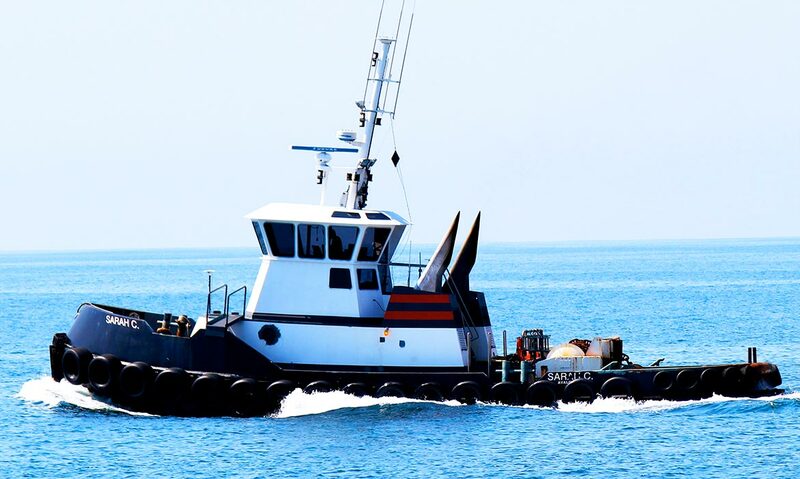 While a tugboat that could accommodate line haul towing was an ability the tug needed to have, the versatility and maneuverability of a marine construction tug was the driving factor in the design. 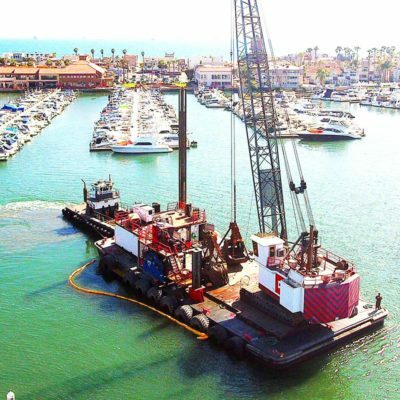 Immediately after taking possession of the boat in February, the total hull-up rebuild began to create the Sarah C.
Agility for tight quarters barge handling and the ability to handle large anchors and get them into position quickly and accurately was one of the more important capabilities to be derived from the conversion. 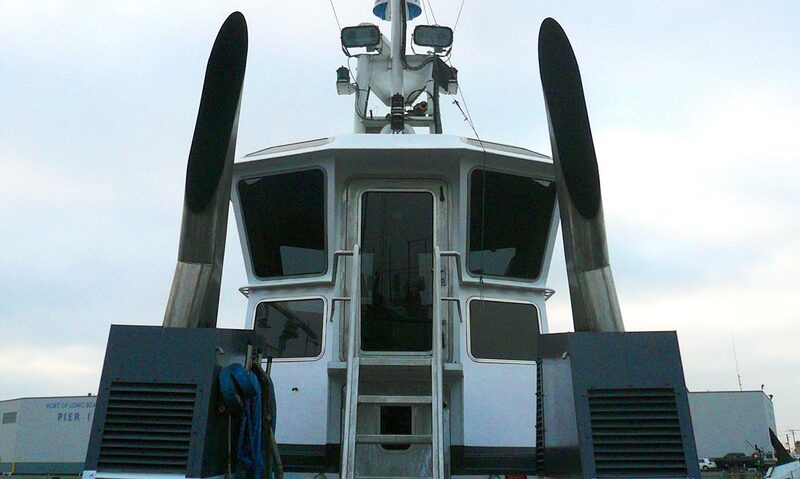 This was achieved through the installation of a 1400hp QSK38 Cummins main engine, a 400hp Thrustmaster Z-Drive mounted forward of the house with a 100hp Thrustmaster bow thruster unit as a back-up. 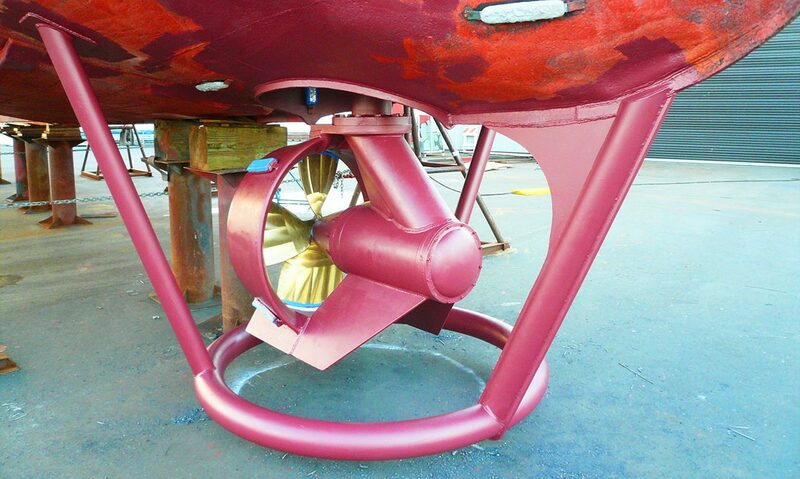 Mated to the QSK38 is a custom stainless steel 5 blade propeller from Wilmington Propeller. 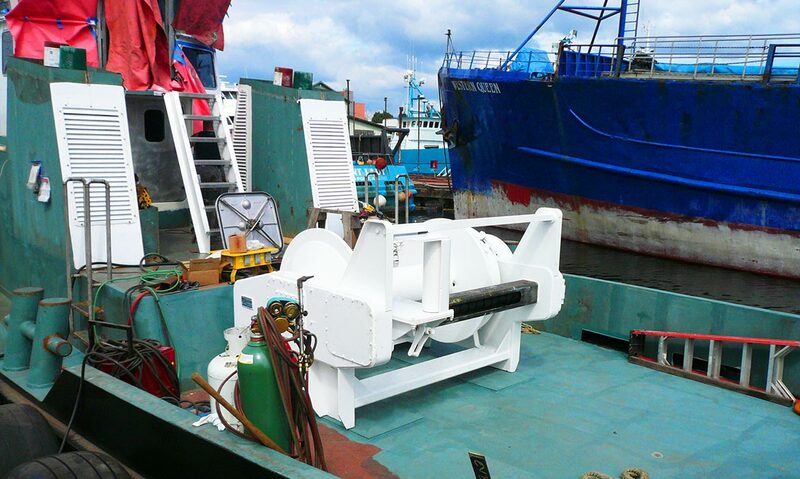 The main winch is a custom Rapp Hydema, sized to handle anchors up to 50k pounds and any other winch related task the boat is asked to perform. 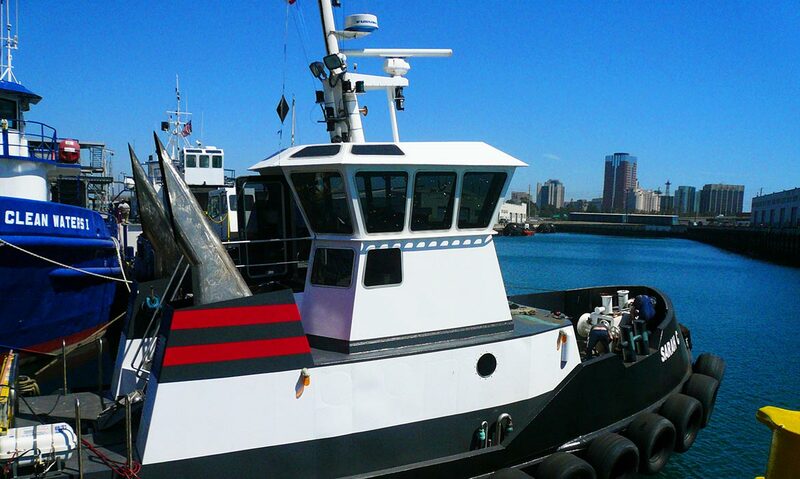 The Sarah is further outfitted with two John Deere 200kw gensets, Pullmaster H25 tugger winch, H18 bow winch, a complete Furuno Electronics package with iCom radios and KVH Sat communications system. All of these systems were hand selected and installed by the Curtin Maritime design-build team to meet our performance standards. 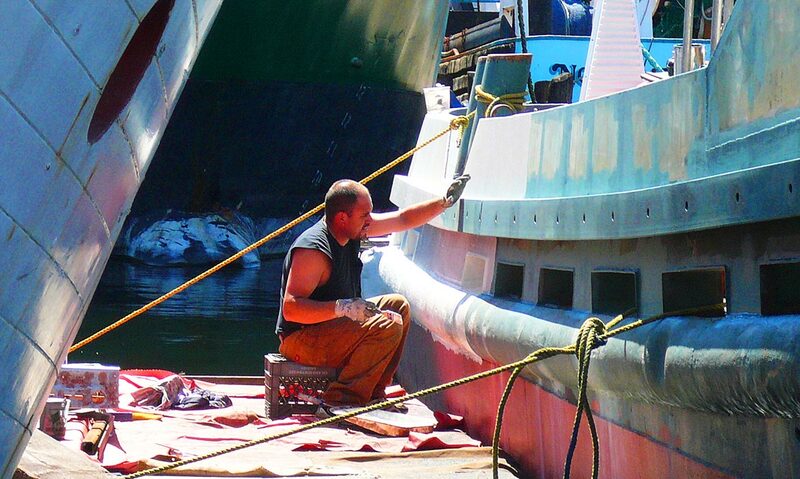 Along with versatility of the boat itself, a safer way of working on deck was of equal importance, and ultimately, the safety elements that were implemented had positive effects on the overall efficiency of deck operations. The layout of all deck gear, ladder placement and even access to get on deck from the tug interior was all designed with crew safety in mind. One of the most dangerous activities for the crew is the making and breaking of tow gear and handling lines, so our custom Rapp Hydema winch was designed to limit this exposure. Our fairlead system with an open reeve level winder has the ability to roll the full shot of 2inch surge chain directly onto the drum. This in conjunction with our use of a plasma bridal largely eliminates the need for the crew to handle dangerous heavy chain gear during tow ops. 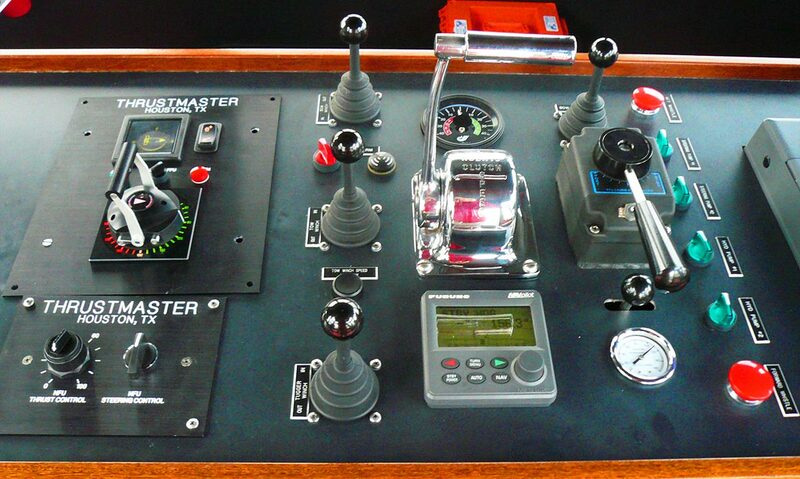 An added level of safety is attained through the controlling of the winches, all of which is done by the Captain from the wheelhouse with a complete overview of the situation. These things combined to allow for faster handling of the lighter gear, increased safety on deck and an overall increase in efficiency. The subsequent operation of the boat, when put into service, proved all the thought and detail that was put into the design worked as intended. 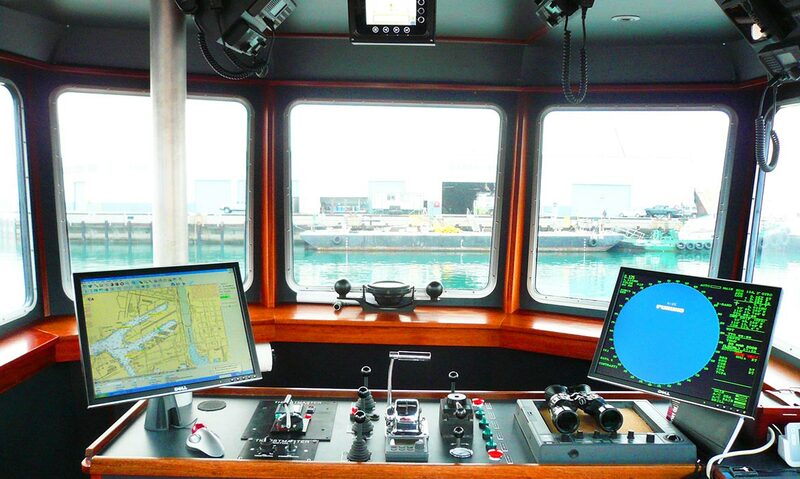 The combination of an intelligent deck layout combined with high-performance equipment made life on deck safe, and operations fast. 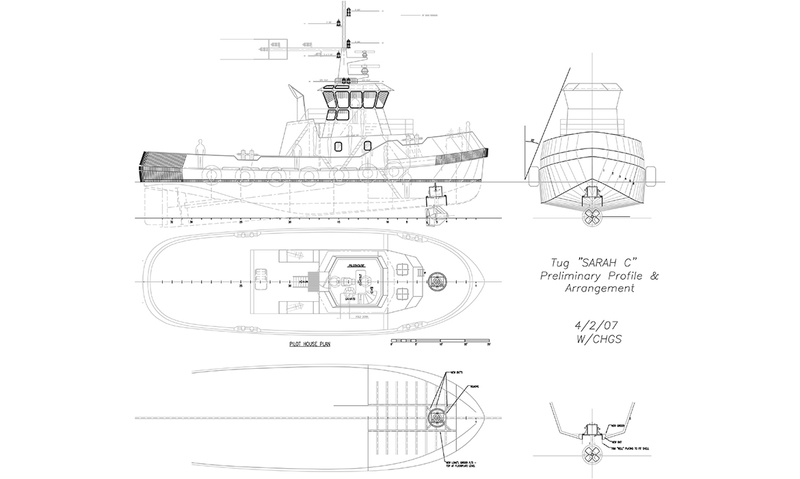 From taking possession of the Peril Strait to the transformation to an operational tugboat the Sarah C took only 6 months. 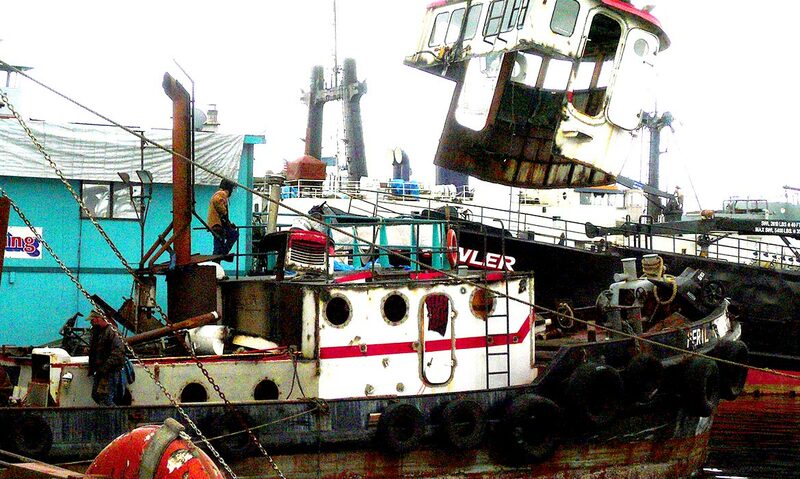 This was another testament to the sound design principals and streamlined shipyard procedures Curtin Maritime is known for.